From the moment you step onto the spacious front porch, youâll feel the inviting warmth of this 4-5BR/4BA Colonial home in The Reserve of Medina. 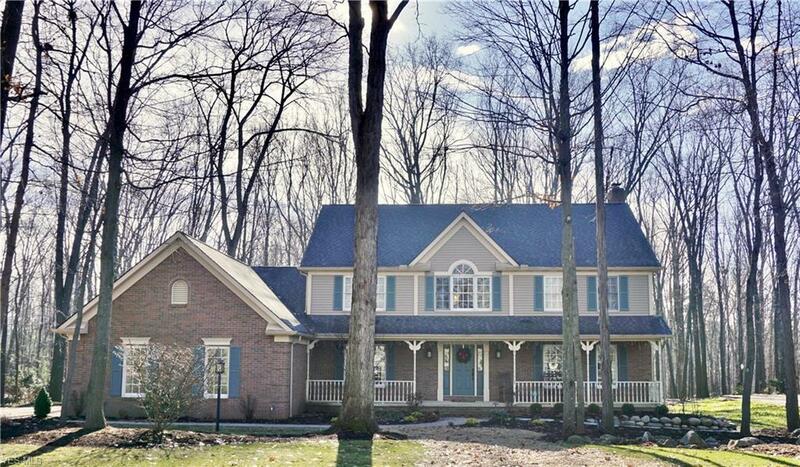 Situated on a picturesque 0.78 acres, youâll enjoy year round wooded views & wildlife. Inside, youâll discover over 4800 sqft, including the finished walk-out lower level. Hardwood floors, crown molding, & updated lighting greet you as you step into the 2-story foyer. The updated kitchen with granite, stainless steel appliances, large island, and eating area steps down to the family room with brick fireplace & built-in bookcases. The Sunroom with vaulted ceiling & Multi-Tiered Deck gives you the opportunity to take full advantage of the gorgeous scenery. Formal living/dining rooms, an office (or 5th bedroom), laundry room, & full bath round out the first floor. Upstairs, the huge Ownerâs Suite with vaulted ceilings big walk-in closet, jetted tub, & double sinks will become your personal retreat. 3 additional nice-sized bedrooms, a full bath, & loft area off the master can also be found on the 2nd floor. The finished walk-out lower level will make entertaining a breeze with a bar area, game area with solid built-in bookcases, a guest or bonus room, & a full bath. Walk through the French doors & youâre transported into the serene backyard. Other highlights of this home include: newer HVAC & roof, setup for a whole house generator, & 3-car side load garage. This home has so much to offer. Call today for a private showing!